in soldering metals. Eilat Stone takes its name from Eilat, Gulf of Aqaba, Red Sea. adding brown and black colors. In the oxidized zone of copper deposits. 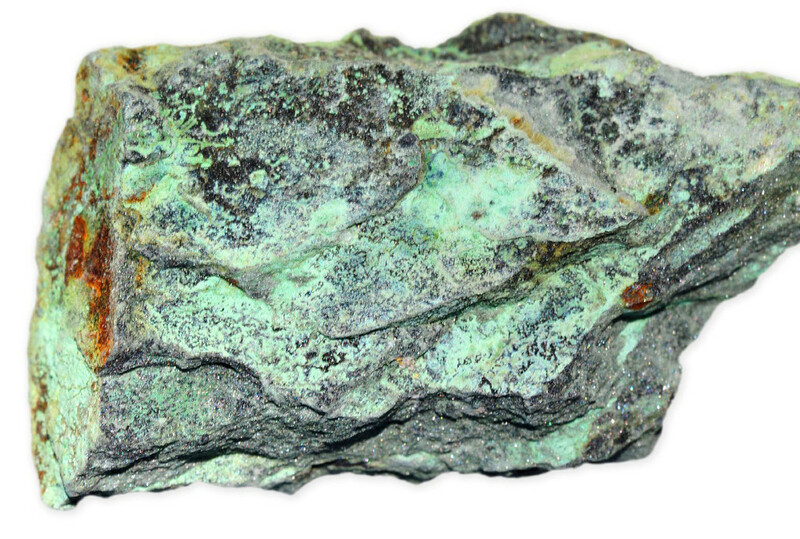 Maybe mixed with copper carbonates such as malachite and turquoise. Crystal System Monoclinic. Crystals are microscopic, in aggregates; cryptocrystalline, opalline. Note: Chrysocolla often forms as a gel mixed with silica and hardens to a blue material that is basically a chrysocolla-saturated quartz. This material is very hard (7 on Moh's scale), wears well, and is often seen in jewelry. 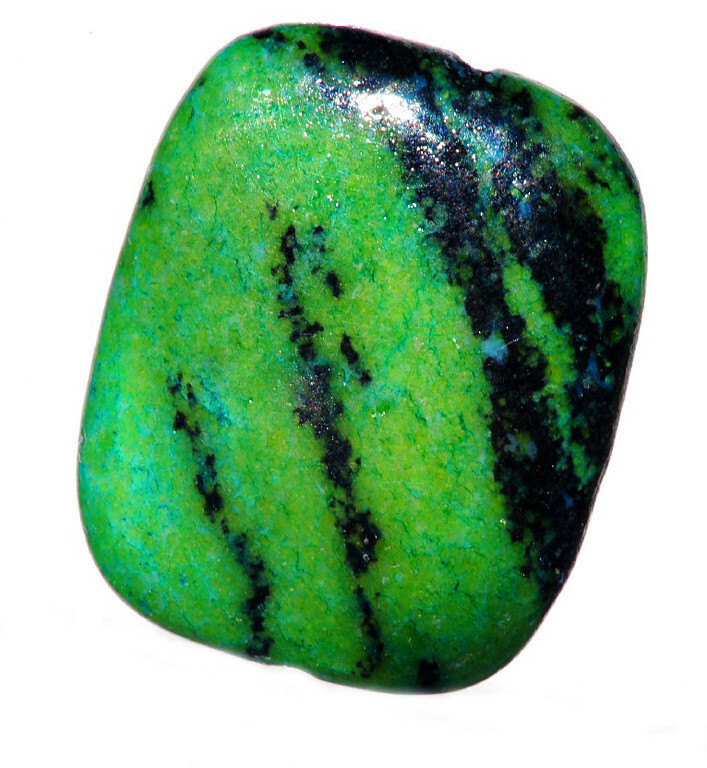 Chrysocolla mixed with malachite is often sold as Eilat Stone and comes from many localities; the color is blue to blue green. 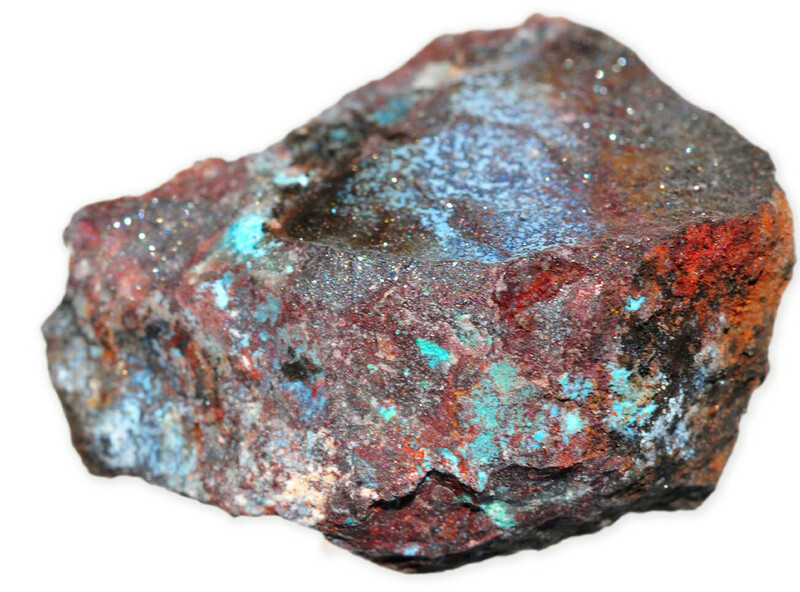 Stellarite us the trade name for a light blue mixture chrysocolla and quartz. Parrot-wing is a mixture of chrysocolla and jasper with brownish green color. Reference: Color Encyclopedia of Gemstones, Joel E. Arem, VNR publications, New York.